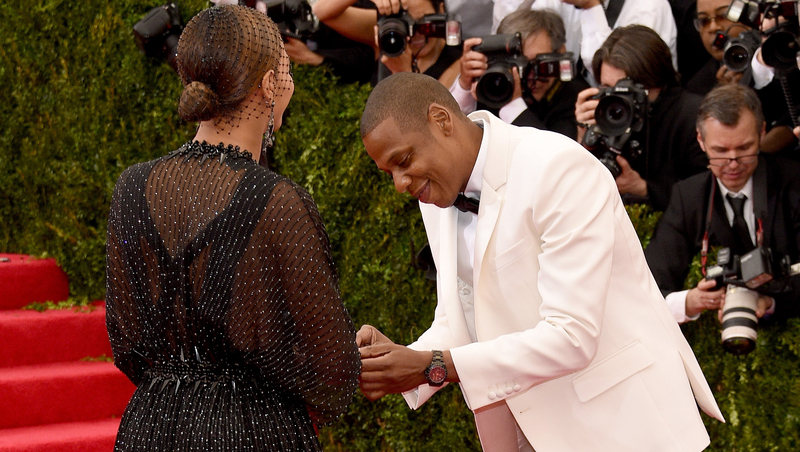 Jay Z put a ring on it! The rapper and his bride, Beyonce, had an adorable moment on the Costume Institute Gala red carpet on Monday night. Coming to his wife's rescue when her jewelry came off while the power couple was posing for photos, Jay Z grabbed the jewelry and slipped it back onto the "Flawless" singer's finger as if he was proposing all over again. Jay Z, 44, and Beyonce, 32, were quite the match at the high-fashion event, both stepping out in Givenchy Haute Couture. Blue Ivy's parents are gearing up for their On the Run tour, which will begin at the end of June.